Long, arduous winter? Check. Short-lived, unpredictable spring? Check. Sweet, sweet summertime arriving promptly? Yes, yes, and yes. This week’s thunderstorms, hair-frazzling humidity, and scorching temperatures have made it abundantly clear that summer is finally here to stay. And despite the ninety-degree heat radiating off the asphalt and transforming your car into an oven, there are a few things to look forward to this summer. Introducing my official recommendations to enjoy summer in the Willmar Lakes Area. People of all ages come out to enjoy great music and food at Rockin’ Robbins. My last blog was all about Movies in the Park, a monthly movie shown at Robbins Island. Free entertainment plus snacks plus bounce houses—could it get any better than that? Maybe so. This summer, Robbins Island will once again host Rockin’ Robbins, a free concert series that premieres on July 17 at 6:30 p.m. Come on out to Robbins Island where different musical groups will be performing on the main stage. Wander between local vendors, looking for delicious mini donuts or ice cream cones, before picking a spot for your lawn chair on the enormous lawn in front of the stage. 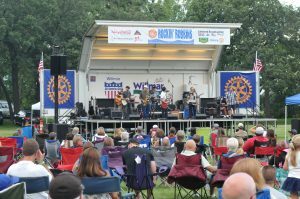 Mark your calendars for July 17, 24, 31, and August 7 for a rockin’ good time out at Rockin’ Robbins. 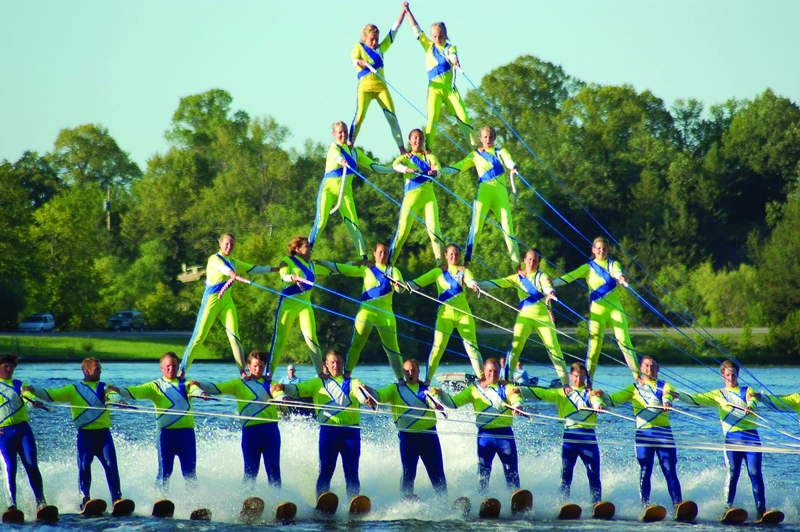 Daring stunts, fast boats, human pyramids? What more could you ask of the Little Crow Ski Team? Over in New London, the famous Little Crow Water Ski Team is gearing up for a summer of performances at Neer Park on the Crow River. 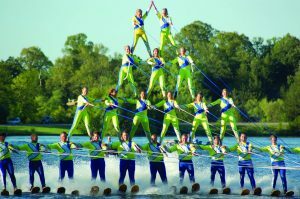 With a weekly show almost every Friday night during June, July, and August, the Little Crow Ski Team attracts anywhere from 500 to 4,500 people to watch their over 70 members perform feats of aquatic bravery, from human pyramids to ramp jumps. Each show begins at 7:30 p.m. in June and July and at 7:00 p.m. in August. Tickets are $5 for adults, $3 for students, and preschoolers get in free. Little Crow Ski Shows are the perfect way to venture outside your normal routine and experience something new, something wild, without breaking the bank. Stock car races, tractor pulls, fun rides, and of course amazing fair food! What’s not to love about the county fair? 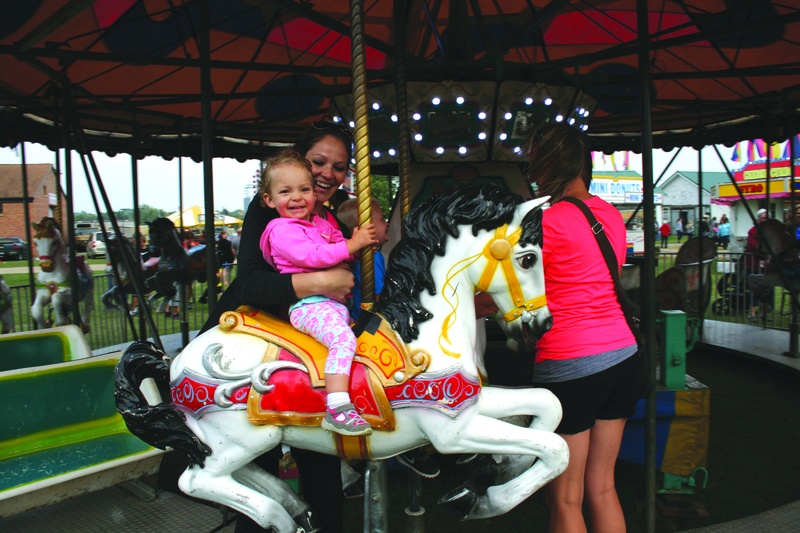 Last but not least is the highlight of every summer in the Willmar Lakes Area: the Kandiyohi County Fair. From August 8-11 Willmar will be hosting the annual festivities: tractor driving contests, bull riding, and all the food your heart desires. Tour the 4-H booths to see award-winning photography, baked goods, livestock, and more. Walk through the little red schoolhouse, restored to bring you back to the days when rural schoolhouses held students of all different ages with only one teach to lead them all. Sit down at the Knights of Columbus food booth for a good old-fashioned hamburger and order of fries. 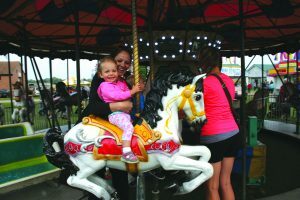 And at the height of summer, just before the hot temperature begins to fade, the Kandiyohi County Fair is the perfect opportunity to experience all things Minnesota—strong communities, robust agriculture, and appreciation for the outdoors. So there you have it: my top three recommendations to spending your summer in the Willmar Lakes Area. Of course there’s plenty more to do when you’re visiting the area, but these are simply a few of the big events the community is proud to offer that I’m looking forward to!